The Mode! 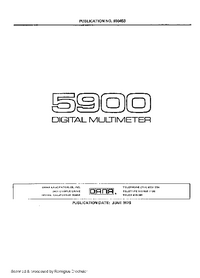 5900 Digital multimeter is a five-decade instrument with a sixth digit providing 60% overrange. The basic instrument is equipped for dc and dc/dc ratio measurements on five ranges. With the addition of the optional AC Converter, a-c and ac/dc ratio measurements on four ranges are available. The Ohms Converter, also optional, adds ohms measurements on eight ranges 1.3	Range can be selected manually or automatically (autorange). In AUTO range, the proper range for a particular measurement is selected automatically (full scale is defined as “100000” on any range). The instrument “up-ranges” at 160% of full scale and “downranges” at 15% of full scale. Polarity selection is also automatic and is displayed on the readout. ! .4 Two operating modes are provided. In Hold mode (RATE control on EXT), a measurement is held (displayed) until a single reading is commanded by an external command. The new measurement is then held until the next external command. In Periodic mode (RATE control CW), measurements are made automatically at the rate of approximately four per second. 1.5	The basic Model 5900 includes an analog output voltage that is proportional to the parameter being measured (except ratio). The voltage, at 20 volts maximum, is available at a rear panel connector. 1.6	Also included as standard equipment is a solid-state isolated BCD output. TTL-compatible output levels of the reading, function, range, etc., plus a print command are provided. An additional line enables a new reading to be commanded externally. An optional isolated remote programming unit (Model 42) allows all operating commands to be made externally. 1.7	OPTIONS. 1.8	All optional Accessories having model numbers are Plug-In circuit boards that may be added at any time. A calibrated accessory board can be installed without affecting the d-c calibration of the basic instrument. 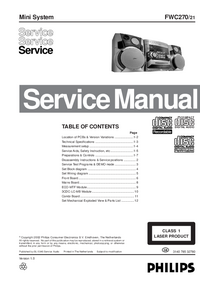 An instrument shipped without PCB Accessories will not be equipped with a Function Switching PCB assembly. This board must be added when accessory boards are installed. Analog Accessories are identified in table 1.1. 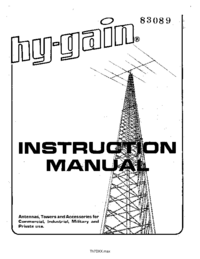 1.9	Model 42 Remote Programming. 1.10	The Model 42 Remote Programming accessory allows the selection of function, range, filter, read command, etc., to be made externally. Auto range selection is also provided and appropriate timeouts are generated internally when ranging takes place. Remote Programming “overrides” all manual control settings to prevent erratic selections. Complete isolation of the programming unit is achieved by the use of photo-couplers and pulse transformers. 1.11	Rear Input Options M, -1S) 1.12	Two rear input options are available for the Model 5900 DMM. The option designated -1 consists of connector J204 on the back panel with input lines ± INPUT, ± CURRENT, and GUARD wired in parallel with the front panel input terminals; the option designated -IS is the same as the -1 except that the front or rear inputs are selectable by a switch on the front panel.